If you are a complexion-conscience girl like me, a night cream should be a must-have in your beauty arsenal. But is it okay to apply night cream on oily skin? What about dry skin? To know more about night creams, their function, best night cream ingredients and how to choose the right night cream for your skin type, click here. Contains all the best night cream ingredients namely; collagen, retinol, AHAs, Niacinemide etc. in one potion. So when Lakme says wake up to a younger, tighter and flawless skin, it really means the claim! It’s a special formula composed by dermatologists at Kaya Skin Clinic. It is full of antioxidants and special ingredients like Azelaic acid that work in the night to lighten complexion, improve skin tone and make skin radiant and glowing as ever. Read full review here. The cream has amazing hydrating and firming abilities. The cream leaves skin looking and feeling like satin upon waking up. Read review to know more. 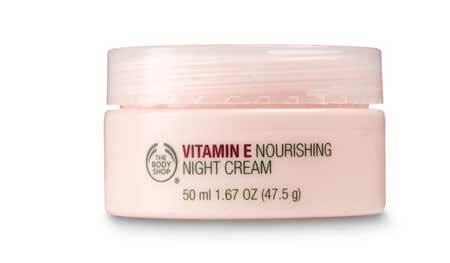 This is one of my favorites, when it comes to picking night cream for oily skin. It has a runny texture, gets absorbed quickly and leaves perfect matte finish. Apart from keeping your skin oil-free, it also helps diminish the appearance of scars, open pores and blemishes. Concern: Oiliness, acne, blemishes and open pores. Olay Natural White contains the powerful brightening ingredient Niacinemide (Vitamin B3) to give you healthy looking and even-toned fair skin. Read full review to know more. 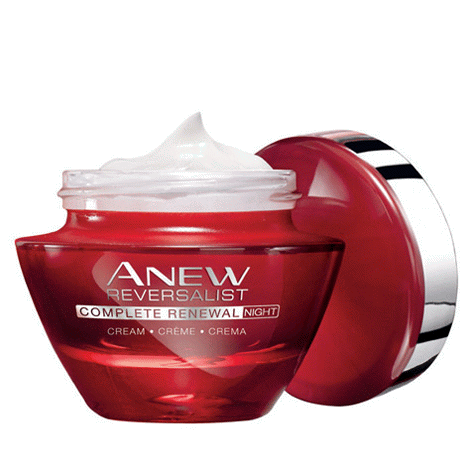 This is an immensely hydrating cream that works to prevent dryness and flaking. It has a soft and gentle texture that gets absorbed quickly to give you wonderfully moisturized and radiant skin next morning. Rich formula with ultra-hydrating oils. Contains Evening primrose oil and essential fatty acids to rejuvenate and nourish skin from deep within. Concern: Restores and rejuvenates tired complexion. Contains collagen peptides, silicone cyclohexasiloxane, and shea butter to plump complexion, minimize the look of fine lines and combat dryness. Fades appearance of wrinkles and prevents further sagging of skin. Contains AHAs and antioxidants to exfoliate and rejuvenate skin. Helps exfoliate dead cells, repair damage, and restore healthy complexion. The cream comes in a fancy packaging and contains retinol as its active ingredient besides the tall ‘gold’ claim. Instantly brightens complexion and leaves skin glowing and smooth. Although, these night creams will not do a magic makeover for your skin, they can certainly transform the look of your skin provided you stay consistent. Take your pick and wake up to a softer, rosier you! which night cream is best for me? Hi Monam. 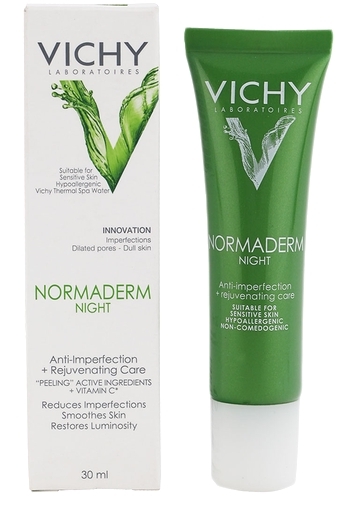 You can either use night cream from Vichy Normaderm range or Kaya purifying range. Also, Kaya nourishing night cream and Neutrogena light night cream can also be good options for you in winter season. Hi Karuna. Use Aurigo flavo c serum in the day time before you apply sunscreen and use Kaya nourishing fairness night cream in the night. You also swap your regular cleanser for an AHA based product. Hi Nikita. Neutrogena light night cream would be a good option for you. I am Gayathiry, 30yrs old. I am dark in complexion, with little wrinkle marks under eyes, have dark patches in corners of my on my sides of forhead, nose, and chin. I have only skin. I would like to try a good day cream and night cream to get a good glowing skin. Please suggest me one. Hi Gayathiry. brightening day and night creams from Kaya Skin Clinic and L’Oreal Paris are good choices for you. Use Avarta under eye cream for fine lines and Kaya pigmentation reducing complex for dark patches on skin. Also make sure to use a good quality spf 50 during the day. Hi I m 22 years old.. I am facing a problem of dullness and dryness flaky type skin specially on my T zone… Due to this i am facing a problem of blackheads on my nose area. And Earlier my skin used to be oily. But now there is no such oilyness on my face.. Because of dullness and dryness my complexion is becoming dark day by day.. Please help me out from all these issues And suggest me which product will suit on my skin..? Hi Anmol. You can use Aha Glow face wash in the night. Followed by Kaya nourishing night cream or laser whitening cream from L’Oreal paris. Hey anshulikA can u tell me which product is good for tightening the open pores?? Hi Anmol, For enlarged pores use salicylic acid based face wash like saslic D.S. You can also use OTC toners from Neutrogena and L’Oreal meant for enlarged pores condition. If you can spend more, Clinique has a very good product for enlarged pores, Clinique pore refining solutions instant perfector. You can also go for monthly dermaroller or microdermabrasion treatments at dermatologist office. I am 24 years old, I’m looking for a night cream that brings me glow and gives back my flawless skin back which I had in teens and yea I have a combination skin. And also I wanna know what day cream I should use? Hi Rushil. You can use Kaya nourishing night cream. And for day use you can go for L’Oreal Paris Laser whitening day cream. Hi Shakila, You can use AHA glow face wash in the night followed by Kaya pigmentation reducing complex on sopts and freckles followed by Kaya nourishing night cream. As for eye cream, Avarta under eye cream should be a good option. Also make sure you use a good quality spf in the day time. Remember for anti aging and pigmentation concerns, SPF is a must! I am Saloni, Iam 31 and have dry skin..I have dark circles crows feet..m using sebamed q lift under eye cream but it didn’t help much for crows feet. Also, my skin has become dull even though I don’t go out in sun and use olive oil, almond oil, vitamin e oil, castor oil, grapeseed oil mixture daily along with blossom kochhar aroma magic cream. Please advise any change, a good night n day cream or any essential oil as I have very dry skin. Also something for my dark circle n crows feet. I can use essential oil mixed with carrier oil also. Hi Saloni. For crows feet and dark circles, try using Avarta under eye cream. If you’re into oils, use rosehip oil for skin brightening. Make a mix of rosehip, grapeseed, rosemary and almond oil and apply in little quantities on your face and neck. As for a good night cream, I would suggest you to use Kaya skin clinic nourishing night cream. If your skin is dry, you can use Olay natural white day cream followed by a good sunscreen. And remember, for pigmentation problems wearing sunscreen is a must! Also,there is mild pigmentation and my complexion has become dark. hi. I am mythi 27 yrs old. 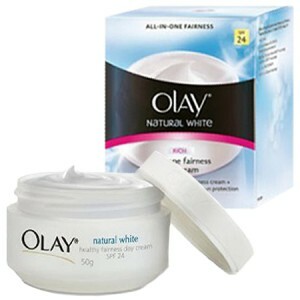 i m using Olay Natural White Night cream for 2 months time but there is no any improvements in my skin. I am dark complexion. Once i started to use Olay i am getting very small pimples on my cheek and forehead its give me very dull and irritating look. 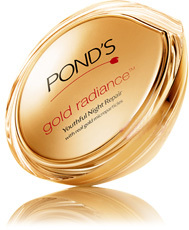 I m using Ponds as my day cream for long time. I m in Sri Lanka please suggest me any night (whitening) cream. I m having darkness on my upper lip also. Hi Mythily. Stop using Olay natural white night cream. For pimples and dull complexion use salicylic acid based cleanser such as Saslic D.S. in the night and orange or neem based gentle cleanser in the morning. Use Melaglow cream in the night for brightening and whitening. All the best! I am using the l’oreal paris white perfect laser overnight cream.. I want to know if the kaya nourishing night cream is a better choice? My skin type is combination to mild oily..Also the loreal one has never broken me out. But I wish to try something better..
Hi Ankita. L’Oreal laser overnight cream is an awesome product from white perfect range. I recommended this to my sis in law and she experienced great results with this cream. If it hasn’t broken you out, I would suggest you to continue using it. Good luck. Hi mam ? M 30 years old i have normal – oily skin with open pores in m cheeks . Pliz suggest me which day cream/ night cream/ sunscreen should i use??? Hi Mecha. For open pores, I would suggest you to consult your dermatologist for in office procedure such as Microdermabrasion or dermaroller. In the meanwhile, you can try using a salicylic acid based cleanser along with Vit C serum in your beauty routine at home. Ega is a good night cream to start with at your age. For sunscren, you can either use a medical sunscreen, Suncote gel by Curatio pharma or Lotus matte gel sunscreen with spf 50. Both are good options for normal to oily skin. Good luck. Hi dear. You can use Neutrogena light night cream. 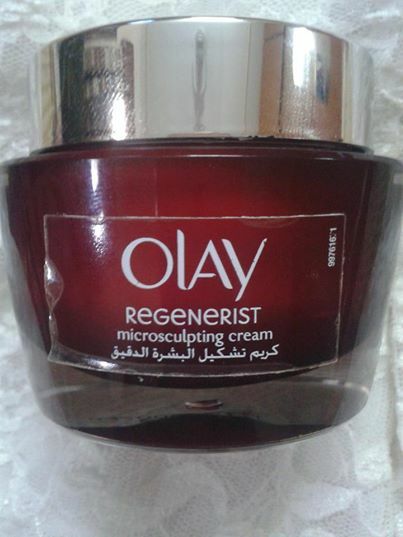 I’ve recently started using the Olay total effects anti aging night cream. I’m having quite a few breakouts. Can you please help & suggest which night cream would be good for my skin? I think my skin is combination type. It’s neither oily nor dry, just normal 🙂 Thanks for your help! Hi Priyanka. L’Oreal Paris white perfect laser night cream is a wonderful night cream from L’Oreal. You should not be disappointed with this one. Helw..m 23 years old.. M lukng for a night cream which have skin whitening and brightening effect..plzz suggest me. Hi Priya. L’Oreal Paris white perfect laser night cream is a good option to try. Tq Anshulika…hope dis will b hlpful in my oily skin .. ?? Hi dear.. Can tel me which day cream gives me instant fairness and also have skin lightening and bfightening effect !!. I have oily skin..
Hi Priya, you can try L’Oreal white perfect day cream for instant and long term skin brightening. But since it’s almost summer, I’m afraid it might make your skin a bit oily. 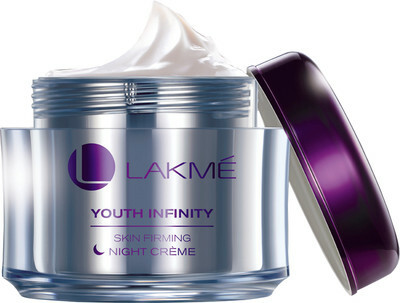 In this case, Lakme perfect radiance day cream would be a better choice for you. Hi Akansha. Kaya skin clinic nourishing night cream would be a good option for your skin. Hi, i’m 20 yr girl my skin looks dull and sometimes spots pn my face.Which night cream should i use. I have combination skin dry n oily!! Hi Mansi. Neutrogena fine fairness serum would be a great option for your skin type. Hiii ..Anshulika…m 27 years old and i have normal to oily skin with an oily T zone. Can you please suggest a good under eye cream for dark circles…Also m on a look out for an organic night cream/serum for my skin…I dont have very acne prone skin but occassionally i do break out……Please do suggest a good sunscreen too as Summers r goin on and very confused bout which one to use….Thanking you in advance!! Hi Ria. You can use Fair Eye for your under eye area, Lotus matte gel spf 50 sunscreen Read review: http://road2beauty.com/2016/03/lotus-herbals-safe-sun-uv-screen-matte-gel-spf-50-review/ and for an organic night cream Kama Ayurveda rejuvenating and brightening night cream is a good option to try. All the best! Hi Pinky. For a brighter complexion, drink lemon + honey water in the morning on empty stomach along with a glass of orange juice every day. As for a topical skin lightener, use Melaglow cream daily in the night before bed time and remember to use spf in day time while using this cream. Best of luck. I am 59 yrs old. My skin hv lots of blemishes…suggest me night cream. I am using lotus herbal papayablem cream for blemishes. Hi Suman. If your skin can take chemicals, Demelan is a very good cream for reducing blemishes. Apply it on your spots and blemishes in the evening. Leave it on for 2 hours and then rinse and top it off with some good herbal night cream. Apply raw, natural Aloe vera gel twice daily on your blemishes. Hi Payal. You would benefit from Purifying range from Kaya Skin Clinic. Vichy, Avene, and Proactive products are also great for acne prone skin if you want to go premium. As for some great budget products, you can try: AHA Glow face wash, L’Oreal Paris Hydrafresh gel as day cream and top it off with Lotus Herbals safe sun UV Sunscreen matte gel spf 50, and as for night cream I would suggest you to use either Ega cream or Neutrogena fine fairness serum. All the best! Hi, thanks for your instant reply anshulika. I hv a very sensitive skin also in tht case wud the above mentioned products be beneficial? I am 39 and have dark circles under eyes and have bunny lines over nose . Please suggest me a cream . And I have combination skin can you please suggest some good night cream . Have some small spots on cheeks and on chin. Skin is quite uneven what should I buy I m confused. Hi Richa. Use Ega night cream for wrinkles and fine lines, Fair eye or L’Oreal white perfect eye brightener for dark circles. Use Demelan cream in the evening on spots. Leave on for 2 hours, wash face, apply melaglow cream. Use Vit C serum followed by good spf in day time. Hi im 27 yers of age been using advan cream and sebamed face foam since long been beneficial also.but as summers I am looking for a night cream without vitc .as my skin is acne prone sensitive skin. pls help in guiding me a good overall night cream. Hi Gudiya. For acne prone sensitive skin, I would suggest you to consult your dermatologist for proper guidance. hey. …I am 24 year old…..and my complextion is dark……I want to improve it….pls suggest me a best night cream.for that. Hi Nancy. Use Vit C serum day and night for bright skin. After Vit C, apply Melaglow cream in the night before bed time. Do use a good spf in daytime to prevent darkening. Hi I am 27 years old and am having dark circles..I am currently using suncote gel as my sunscreen currently.. I get pimples occasionally.. Can you please suggest a good oil free sunscreen to be used under the make up…I have used ansolar but it clogged my pores and broke me out..also suggest me a good cleanser/facewash to clean my face at d end of the day..currently m using Cetaphil.. Is dat ok..or shud I change?? Hi Siya. Lotus Herbals matte gel spf 50 is a very good sunscreen for oily skin that you can easily use under makeup without clogging your pores. Use BHA based face wash for clear skin and clean pores. Hi Siya. AHA, BHA and retinol products make the skin extremely photosensitive and hence prone to darkening if you are careless with your sun-protection. Also spending long hours in-front of the computer screen, laptop, tab or mobile phone makes skin photo-sensitive and prone to dullness and darkness. This has happened to me! Now I wear my sunscreen even in the night if I have to work late! If you are no careful with your sun-protection I would suggest you to stay away from acid products. You can safely use Cetaphil or Kaya Skin Clinic Soothing Cleansing gel. Herbal and organic cleansers could also be a good choice. And in case, you are careful with your sun protection, Saslic D.S. is a good BHA cleanser in the market. One small request: If you find my reply and above article useful, Please Like my FB page and Share the love among your friends. Let’s help each other grow! Thanks a ton Anshulika for the insights…..
Hello…m 24+ years old…i hv normal skin type but in winter my skin is little bit drier. M lukng for a day and night cream which have skin whitening and brightening effect..plzz suggest me. Hi Laxmi, whitening day and night creams from Olay, L’Oreal and Kaya Skin clinic are all good options to choose from. You can take your pick from any of these depending on your budget. Hi Maira. First of, make a habit of wearing a good quality sunscreen lotion daily without fail. For already pigmented areas, you can start with using demelan cream daily in the evening on dark spots and pigmentation after cleansing your skin. Wash off after two hours and apply Mela glow cream in the night on face before sleeping. Take multi vit (Skinvit) and vit C supplements. You would also benefit from chemical peel procedure. Seek a good dermatologist for the same. Hope this helps. Please update me with your progress. Good luck. I m 29 Year old, my skin is fair, my skin was clean but frm the last two year there was a pigmentation on my face near eyes and my upperlips is gtng dark, plz, help me. I have tried most of de cream, but thr is no, result..
Hi Kousar. You can try Kaya Skin Clinic Pigmentation reducing complex for pigmented areas and Kaya Skin Clinic Brightening serum for all over skin brightening. Also, use a good vit C serum in day time under sunscreen and take vit C supplements daily. Hope this helps. From Bangladesh, I m 30 Years old, my skin is fair, my skin was clean but from the last six month there was some black spot on my face, near eyes and two upper side of chick ,my face is becoming dull day by day and no glow which day and night cream should I used. and unnecessary hair is growing on my upper lips & chin after using Goree whitening cream , so pls help me…. Hi Smirty. Thanks for writing in. First of stop using Goree cream. Take vit C supplements or drink a glass of orange juice daily. Also drink juice of half lemon with one teaspoon honey mixed in one glass of lukewarm water everyday on empty stomach. After this, wait for 45 minutes and eat 5-7 almonds soaked overnight. Eat one green/golden apple half an hour before every meal. Use AHA glow face wash and sunscreen of at least SPF 30 everyday without fail. As for day and night cream, you can go in for L’Oreal Paris white perfect laser whitening night cream and L’Oreal Paris white perfect day cream. For dark spots, use Demelan cream only on spots every evening after cleansing your face. Wait for 2 hours and wash off. 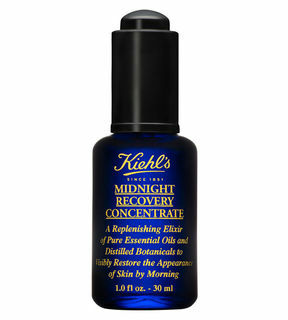 After this apply a pea-sized amount of Melaglow cream followed by your regular night cream before going to bed. All the best and keep me posted with your results. How I can buy White Perfect Laser Overnight Treatment Cream from Gurgaon, haryanac & Ludhiana, Punjab in India. I am not able to find it online. I am only able to find clinical cream not laser. im luking for a fairness cream that would give a matte finish (as i have super oily acne prone skin ) and at the same time help me to get rid of acne. and i have super sensitive skin . wheneva i apply ponds white beauty cream it gives a matte finish, hides my spots nd my skin gets 2to3 tons fairer. but the next day i break out lyk hell. so i want a cream that wouldnt cause any reaction. Hi Tanu. Thanks for writing in. You need to switch products depending on weather and season. During winters, look for hydrating ingredients in products. L’Oreal hydra fresh cleanser, Dove beauty moisture face wash, The Body Shop Vitamin E cleanser, Forest Essentials Delicate facial cleanser etc. are all good face wash choices for winters. Pick any depending on your budget. 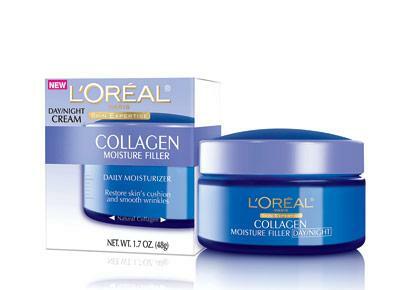 As for a good night and day cream for this season, I would suggest you to use L’Oreal Paris laser whitening range. For serum, Neutrogena Fine fairness serum containing retinol and vitamin C is a great option to pick. Hi Manisha. Would suggest you to first give a deep thought to your diet. Try to reduce junk food consumption as much as possible. Drinks lots of water and increase intake of Vitamin C, A, and E rich foods. Citrus foods are your best bet when looking to brighten your complexion. Regarding topical skin products, you can use Kaya Skin Clinic nourishing fairness night cream, Vitamin C serum during the day under a good broad spectrum sunscreen and Fair eye under eye cream for dark circles. All the best and keep me posted! I’m 26 and previously had an oily skin but now it’s quite normal. please suggest me a night cream and day cream which will help reduce my pimple spots on cheeks n dark circles. Hi Shreya. You can use Fair eye cream for your dark circles. For spots and and blemishes, use vitamin C serum under your sunscreen during the day. For night time, you can use Kaya Pigmentation reducing complex for spots and Kaya nourishing fairness night cream for whole face. Hope this helps! Hi, I’m 20 years old. I have combination skin which can be really oily in summers causing dullness, open pores and skin darkening. Plus I’m experiencing bumps on my face after using loreal paris white perfect facewash and night cream. Can you please suggest a good facewash and night cream for my face? Something that doens’t has harmful chemicals. Thanks for writing in. For dullness, I would suggest you to use vitamin c serum. Wear gel based sunscreen (spf atleast 30) daily instead of any moisturizer or day cream during the day time. Indoors or outdoors, sunny or cloudy, make wearing sunscreen your daily habit. As for a good face wash and night cream for your concern, you can take your picks from: Kaya Purifying range, Vichy Normaderm range, Bioderma sebium purifying cleanser, Neutrogena Oil free Acne wash, depending upon your budget. Kaya fairness nourishing night cream is also a good option for dull skin. Use only a pea-sized amount to cover your entire face and neck. Besides skincare products, heal your skin internally. Avoid junk food, eat more of fresh fruits and vegetables, drink lots of water and take daily vitamin C supplements and your skin should be looking and feeling healthy. Hope this helps. Keep me posted. I’m 30 year old man, I’m struggling with dark spot, dark circle around my eyes, blackheads,oily skin and I’m getting dark day by day, please suggest me what should i use as day cream, night cream and sirum, what would be my ideal face wash and cream also suggest me what should i use for anti aging as I’m 30 now i want to control wrinkle n loose skin before its too late. Hi Brijesh. Sunscreen and vitamin c serum are your best bet against dark spots and pigmentation. You can try Sunscross spf 50 lotion for oily and sensitive skin, VC 15 serum during day time under your sunscreen. For dark circles, use Fair Eye under eye cream, Aziderm 10% cream for dark spots and pigmentation marks to be used only during the night time after washing your face. Sun protection during day time is must while using this cream. Ega is a good night cream for wrinkles and sagging skin. But would suggest you to start using that only after you finish your treatment with Aziderm. As for a good face wash for oily and acne prone skin, look for cleansers with salicylic acid as active ingredient. Saslic D.S., Olay regenerist, Kaya purifying cleanser, Neutrogena deep clean, Garnier men acnofight all are good options to pick from. Hope this helps. Do keep me posted! I have extremely dry skin and uneven skin tone as well. Kondly suggest with a night cream/serum best for my skin type. And can i use both at a time or only one? It is during the night our skin performs its repair function, night creams are formulated with different ingredients than regular moisturizers or day creams. However, not all night creams are the same. Just like it is wrong to confuse night creams with regular moisturizers, it is a mistake to believe that all night creams work to reduce fine lines and wrinkles.